At Hoyes Michalos you always talk with a licensed debt professional about your situation. In Brampton, you will meet with Licensed Insolvency Trustee, Jason Quinney. Jason can help you find the safest, most cost-effective way to eliminate your debts. You may not need to file bankruptcy. Jason can explain options like a consumer proposal as a way to both settle and consolidate your debt. Book your FREE confidential debt assessment with Jason by calling toll free at 1-866-747-0660 or fill in the form on this page to send us an email. 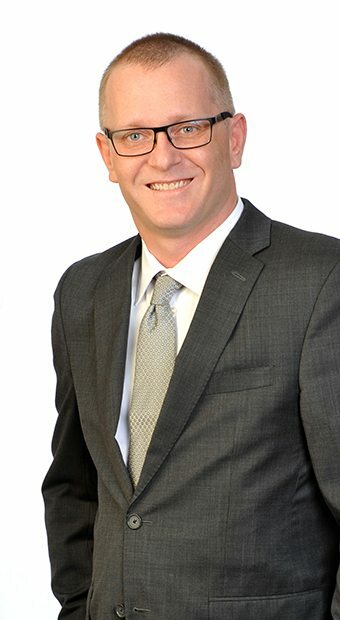 Jason Quinney is a Licensed Insolvency Trustee and Consumer Proposal Administrator. Jason meets with clients in our Vaughan, Brampton and North York West offices. Christina is a Certified Credit Counsellor and Client Service Specialist with 13 years of experience. 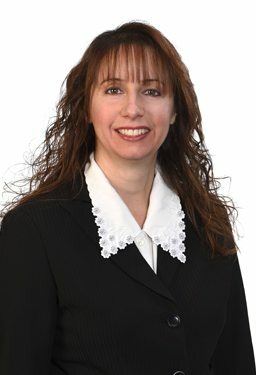 She helps clients experiencing financial difficulty out of our Brampton and Hamilton offices, and would be happy to speak with you about your financial situation. DIRECTIONS: From Hwy. 401 or 407, head north on Hurontario. After the first major intersection of Ray Lawson & County Court Blvd look for the shopping plaza on the left hand side. From Main St., head south past Steeles Ave. W., when it turns into Hurontario St. the plaza entrance will be on the right. In the plaza of the Longo’s Foodstore/Second Cup/Beer Store, access to the elevators is located directly beside the Oxford Tutoring Centre. Even though the unit number is 411, we are on the 2nd floor. An alternative to bankruptcy, a consumer proposal is legal debt settlement program which can only be filed with a Licensed Insolvency Trustee. There are no up-front fees. What you pay is exactly, and only, what you negotiate with your creditors at the beginning of the process. In a consumer proposal you make an offer to pay your creditors a portion of your debts. Once accepted, this agreement is binding on all your unsecured creditors. Upon completion of your proposal terms, your unsecured debts are eliminated. A consumer proposal is also a low cost alternative to a debt consolidation loan. Because you can spread your payments over a period of up to 5 years, your monthly payments are typically much lower than they would be if you were to refinance through a debt consolidation loan. Interest stops during a consumer proposal so your payments never increase from those set in the terms of your arrangement with your creditors. Jason would be happy to explain how filing a consumer proposal in Brampton can be the lowest cost debt consolidation option for those needing debt relief. Bankruptcy is the last solution we look at when explaining your debt relief options. Personal bankruptcy stops creditor actions like a wage garnishment and collection calls and eliminates your debt. In most situations, a bankruptcy can be completed in just nine months. If bankruptcy is right for you, Jason will explain how bankruptcy works and what happens after filing bankruptcy. Filing bankruptcy is often the necessary first step to getting out of debt and beginning the process of rebuilding your finances. If you would like help becoming debt free, call our Brampton team today at 1-866-747-0660.